It’s March! 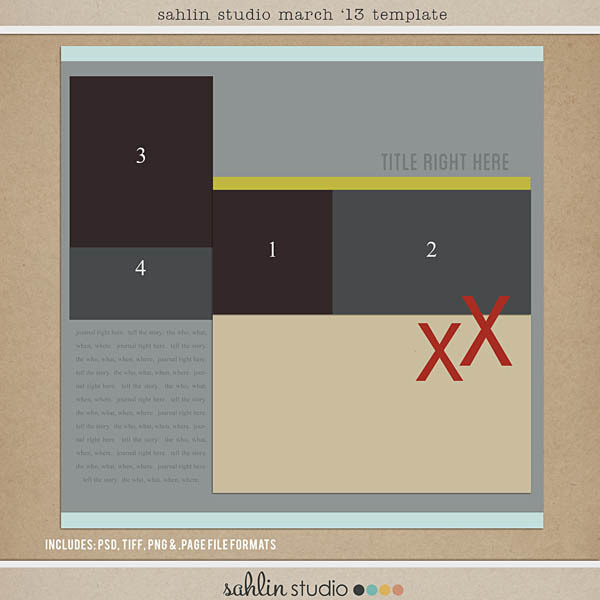 Time for another monthly template freebie challenge. This is a perfect opportunity to get another memory recorded and maybe even win a great prize! Let’s get started! 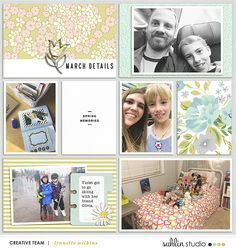 >>>> This month’s template you’ll be using multiple photos and creating a clean, modern layout. 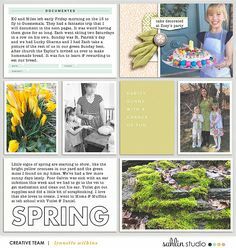 Add papers, elements and more to make it your own! Remember, these template are just guidelines. Flip it, try a new technique, use it to inspire your OWN creativity. Make it yours. Can’t wait to see what you all do. 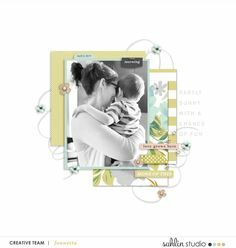 ENTER to WIN |Create a layout with this template, using Sahlin Studio products. 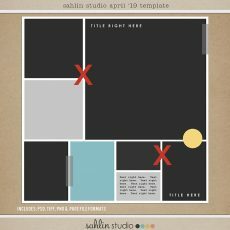 Then upload it to the Sahlin Studio gallery and post a comment back here. You have until the end of the month at midnight EST, to complete the challenge. 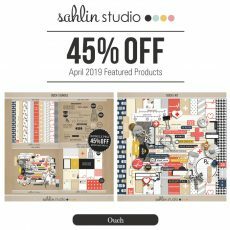 I will randomly pick a winner for a $10 gift certificate for any Sahlin Studio products! *** I am now offering templates with PSD, TIFF, PNG, & .page files.After downloading, feel free to delete the other files that you will not be using to save on file space. Now on to picking a WINNER from last month’s Template Freebie challenge. 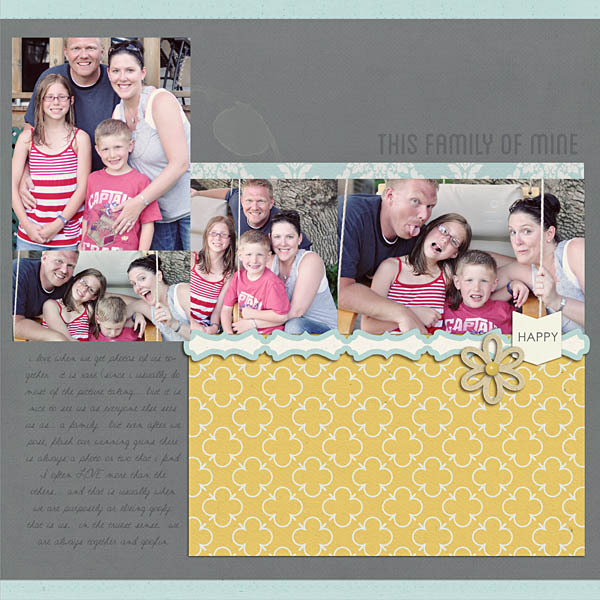 I love this layout Key West by NikkiFB Congrats! Please contact me to receive your prize! Thank you for this freebie template. Love the LO you did with the funny faces. Thanks so much. Love using your templates and amazing kits. Thank you so much! I look forward to these every month! Truly appreciate it! Thank you so much for including the .page file too! Thank you! Love your templates!!! Thanks for the template and challenge. Thank you so much! I love your templates. Here’s mine. Thanks so much! Thanks for this really versatile template.